Originally, I had been saying for years that I really want a tattoo. Not to be 'mainstream' or something like that, but I wanted to get one for me. For years I've seen so many tattoos, tattoo parlours and beautiful designs and it always got me thinking that if I got a tattoo, what would I get? For me, deciding on a tattoo was both the easiest decision but also the hardest, but the main thing to do is really have a good think about it before that needle comes into contact with your skin. There's a few things to consider, like what tattooist to visit, the tattoo idea itself, the placement of it, the size, the colour... There are a lot of different variables. Basically, even though I'm 19 years old, I feel that I have experienced a lot of things in life which have given me all the reason to just stop, give up and quit. However, I've had the strength and courage to pick myself up off the ground and carry on. I got this tattoo to symbolise the amount of struggle I've overcome in my 19 years and I love looking down at it, smiling and thinking of everything that I've battled. 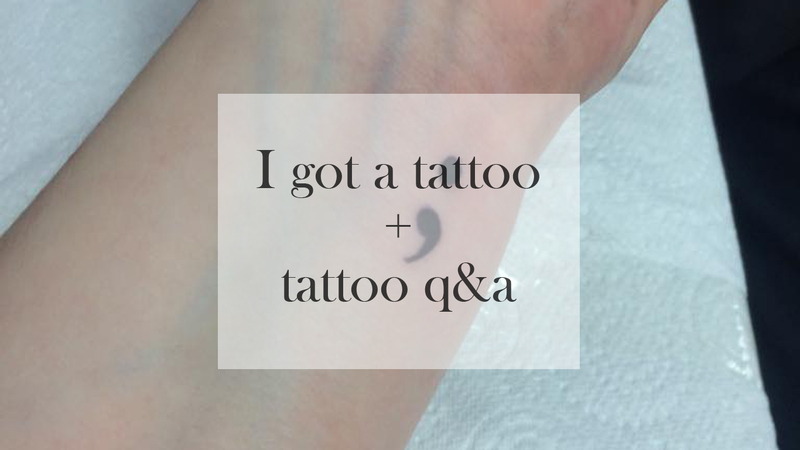 Since I know a lot of people have questions regarding tattoos, I thought I'd provide a little Q&A for you, so you have an insight as to what it's really like to get a tattoo, so here we go!! Q1 - Does it hurt? I'm not gonna sugar coat it, but even though my tattoo was tiny in comparison to pieces that are massive, I felt the pain of mine. Personally, the outline hurt more than the colouring in/shading, but it literally feels as if a cat has its claw stuck in your skin and it's being dragged (since I have a cat, I'm used to this feeling). However, I have experienced worse pains than this (ladies, you'll know what I'm on about). I asked the tattooist whilst I was getting my tattoo where the most painful places would be for a tattoo, and they said: ribs, wrist and bottom of the foot. I know pain tolerance and thresholds vary per person, but those three still stand, usually. I have a really bad pain threshold... As in I sob when I stub my toe or jam my finger in a door/drawer, so getting a tattoo seemed like a big deal for me (that and needles scare me, but not tattoo needles, just injection needles). Q2 - Were you nervous? Since it was a 'walk in session' (basically my tattoo was so small I didn't need to book in), it was decided when I woke up in the morning that my tattoo would be done later on that day, so I didn't really get a chance to feel nervous. However, as soon as I sat in the chair, my heart literally dropped into my stomach. Even though I felt like I was going to have a meltdown, the tattooist chatted to me as I was being tattooed and it made me feel at ease, even though I still felt the pain. Q3 - Won't you regret it when you're older? Definitely not. 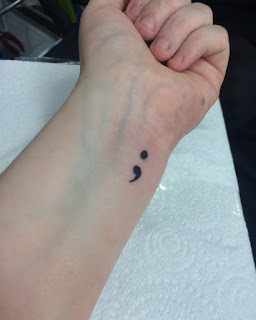 I got this tattoo as a reminder for all the difficulty I have overcome in my life and I know I will approach difficult times in the future, so it'll be something I do not regret having a tattoo of. Q4 - How much did it cost? Tattooists usually ask for a £30 minimum charge, which is understandable. I know that my tattoo is very small and doesn't seem like £30 worth of work, but it's the minimum charge and the tattooist did a very good job and this tattoo makes me very happy - so I don't care about what I paid for it. A lot of pieces vary in price, so it's best to get in contact with a tattoo parlour beforehand. Q5 - What do your family/boyfriend think of it? Originally, I thought my mum wouldn't be a fan of it. However, I messaged her before I went for it and told her I was getting it and her reaction was different to what I expected. She said 'It's your body, you do what you like with it', without sounding horrible. All of my family like the tattoo since the meaning is so significant to me and my boyfriend also thinks the same (that and I know he wants it tattooed as well for the same reason as myself). Q6 - What is the aftercare like? It's also recommended to cling film/plastic wrap your tattoo whilst you sleep for the first two nights to draw out any plasma/blood, which for the first night didn't come off me too much and I haven't had an issue since. At the moment (day 5 of having a tattoo), my tattoo is slightly crispy but I just need to keep on the Bepanthen to keep it moist. It is highlighted to not pick at a 'flaked' tattoo, as it can affect the pigment of the ink and make it fade. With regards to showering, make sure to not keep the tattoo under a running stream of water and when you're out of the shower/cleaning the tattoo, just pat it dry with a towel. Feel free to follow me on Twitter: @chloemtommo, Instagram: @chloetommo and Bloglovin. Thanks for the comment, lovely! I initially thought I couldn't get one but it has such a significant meaning to me - I just couldn't resist. Thank-you so much. You too lovely! Thanks so much for your comment! Note: Any anonymous hate will be deleted straight away. 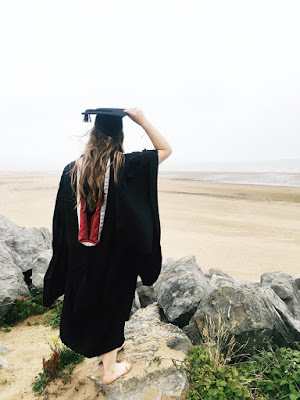 A twenty one year old blogger from Cardiff, Wales. "She's stranger than fiction, better than art."